Sometimes the best way to approach an engineering problem isn’t complicated or costly. 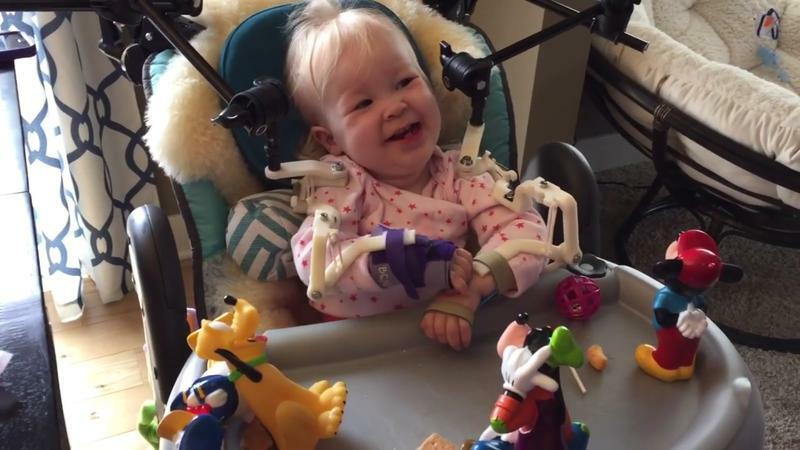 Two Grand Valley State mechanical engineering students took a step back and simplified a way to help a little girl use her arms. Imagine being able to wear a small sensor just like a bandage – you don't even know it's there. That little sensor can detect vapors from your body that could be from anemia, diabetes, or lung disease. 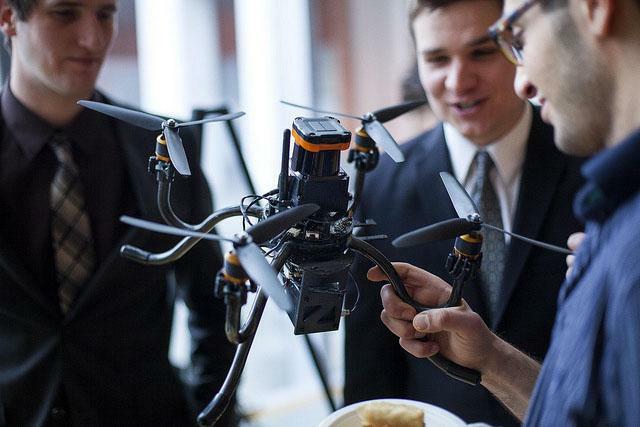 The breakthrough is coming from a team of researchers at the University of Michigan. Sherman Fan is a professor of biomedical engineering at the university. Fan says the device is not the same as other wearable technologies like Google Glass, the Apple iWatch, or the FitBit, which conduct blood pressure measurement. “In our case, we’re measuring vapors, which is a chemical measurement,” says Fan. 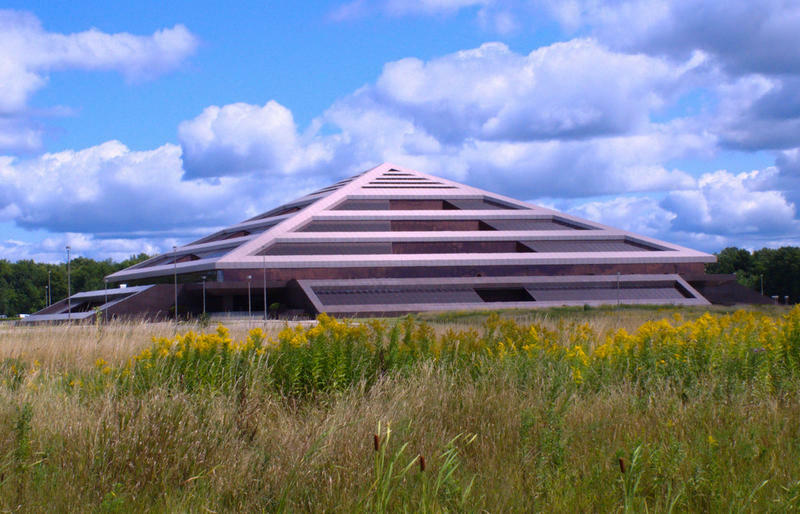 Grand Rapids-based furniture maker Steelcase plans to donate its iconic pyramid-shaped building to a nonprofit group. Steelcase spent more than $100 million to build the more than 600,000 square-foot building in 1989. It’s been for sale for a lot less, around $20 million, for a couple of years. But it hasn't sold. FLINT, Mich. (AP) - The University of Michigan-Flint is responding to a growth in its engineering program by investing in high-tech equipment for the students. 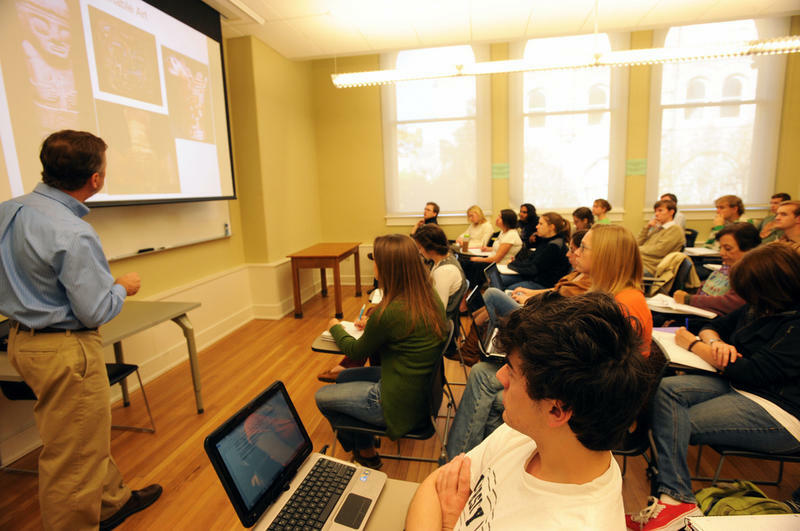 The Flint Journal reports that engineering enrollment has doubled since 2008 and now stands at 320 students. 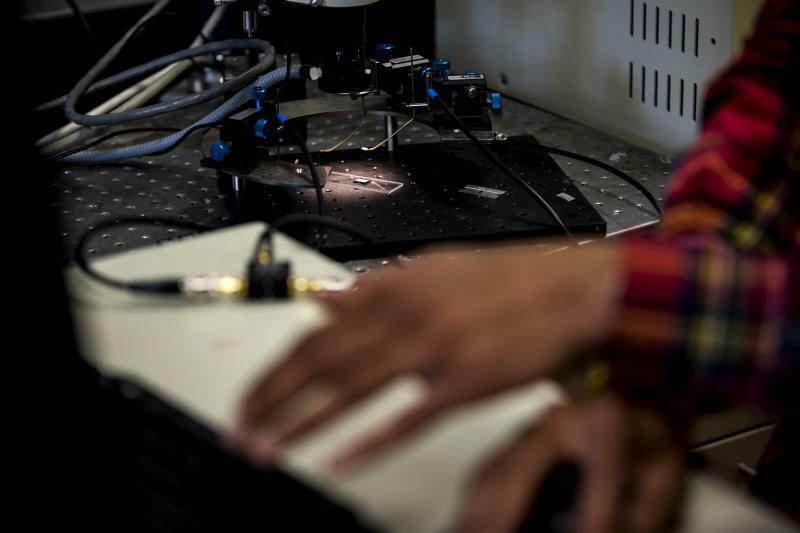 To meet the demand, the school has acquired a $75,000 microscope that magnifies objects 60,000 times and expects to get a $100,000 three-dimensional printer. The department also is hiring two new professors. Tracy Samilton's report on apprenticeships in Michigan. Michigan imports a lot of things from Germany, from craft beer to high-tech appliances. Now, the state's trying to import Germany's highly successful apprentice system. The hope is that employer-paid apprenticeships could address two problems: high-skilled jobs that go unfilled – and four-year college degrees that are becoming unaffordable. One such program is already underway, teaching students how to manage automated assembly lines. 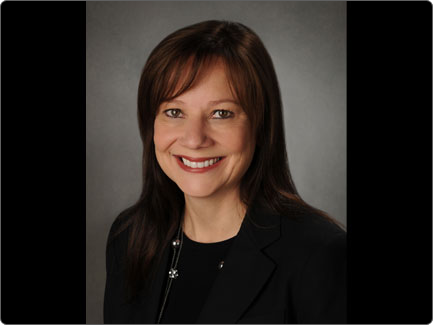 The incoming CEO of General Motors hopes her appointment as the first woman to lead a global automaker will inspire young women and men to pursue careers in science. Mary Barra's first appearance before reporters since getting the job eclipsed the rollout of the GMC Canyon small pickup truck. Barra unveiled the truck and was immediately surrounded by hundreds of journalists Sunday at an old industrial site in Detroit. She hopes her background as an electrical engineer encourages young people into studying science, technology, engineering or math. Michigan Stadium will be full of college students this weekend. But these students aren't watching a football game -- they're hackers. 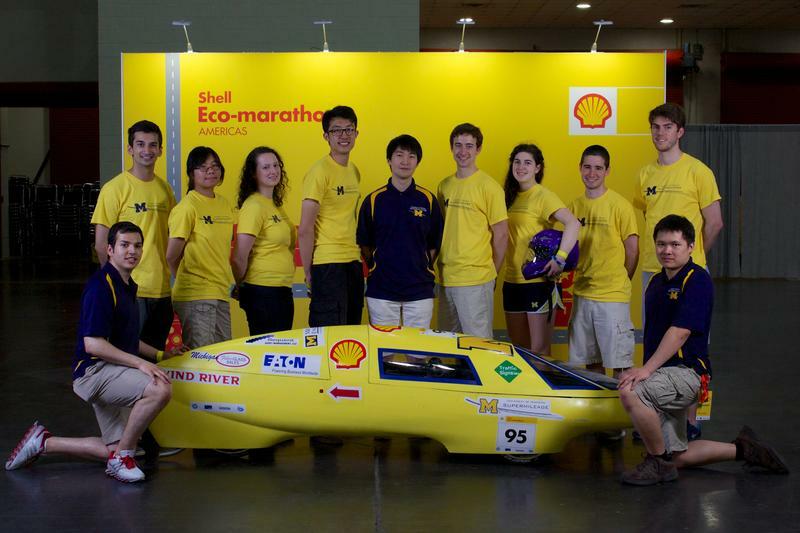 A University of Michigan group called MHacks is sponsoring a 36-hour hackathon. It's a competition that challenges participants to use technology to create inventions that solve modern problems. 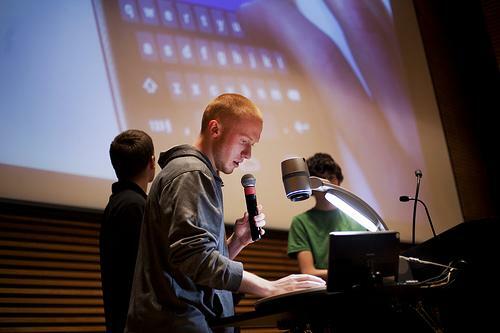 Thomas Erdmann is a junior at Michigan and the president of MHacks. He says the word hacking gets a bad rap. Erdmann says the hackathon represents what the word hacking really means to engineers. An interview with Dr. Cynthia Finelli. Engineering and technology touch our lives every minute of every day. As we move into this 21st Century, technology is progressing at rates that are faster than most anyone could have imagined. But as engineers design this new technology, what's happening at the intersection of "technology" and "ethics?” And what's the price we pay when engineers overlook that "moral compass?" These are questions Dr. Cynthia Finelli is focused on as she helps train the engineers of the future. Dr. Cynthia Finelli is the director of the Center for Research on Learning and Teaching in Engineering and she's a research associate professor at the University of Michigan. And she's part of a team called E3, which stands for "Exploring Ethical Decision-Making in Engineering," a group of engineering teachers from many colleges and universities. These teachers study engineering ethics. Dr. Cynthia Finelli joined us in the studio. A state-appointed review team found the small city of Hamtramck is once again in a state of financial emergency. Will the city succumb to state control again? And nearby in Detroit, one prominent observer has growing doubts about the effectiveness of the city's emergency manager. And, a new film documentary explores the different ways Michigan families have transformed deep loss into opportunities to grow. Also, Tom Ivacko joined us to discuss how local leaders would like citizen to get involved with government. 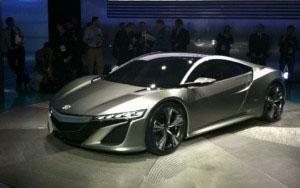 Honda made history in 1990 when it introduced the high powered Acura NS-X sports car. 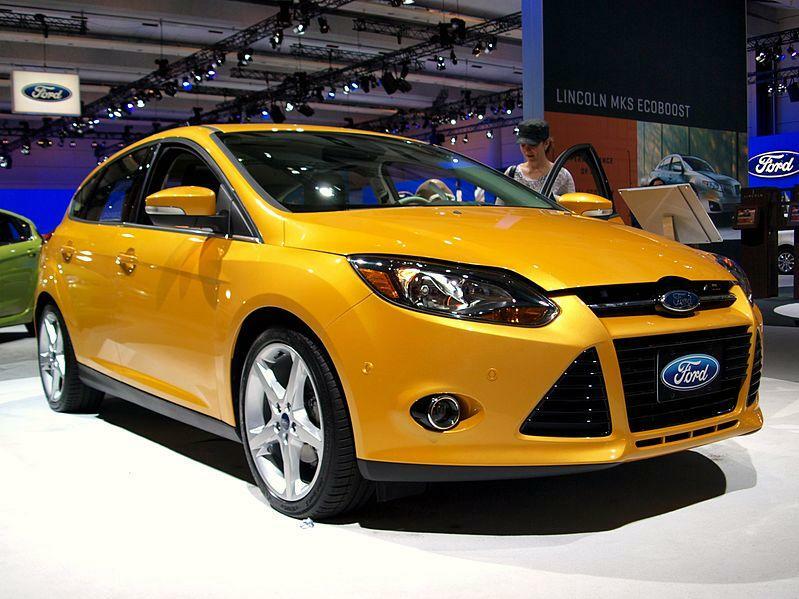 But it discontinued it in 2005 to focus on more fuel efficient models. Now, NS-X is coming back. And instead of Japan, where it built the original car, it will build it in Ohio. Honda made the announcement this afternoon at the North American International Auto Show in Detroit. It showed a concept version of the NS-X unveiled by its CEO, Takanobu Ito. Last year, many automakers brought in profits and announced that they would open up new factories and add new jobs. But the industry is adding new jobs at a time when qualified candidates are hard to come by. 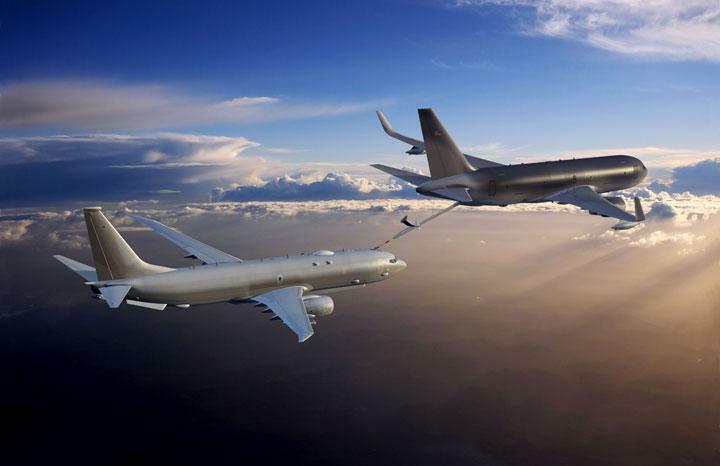 The Air Force announced last week it picked Boeing over rival Airbus to build 179 new planes that refuel other planes while flying. GE Aviation Systems in Grand Rapids will design and build computerized mission control systems for the planes – known as tankers. GE Aviation Systems General Manager George Kiefer says the contract is a great opportunity for engineers at his company. Kiefer says the Grand Rapids location will be able to maintain 100 engineering positions thanks to the contract. Over time he says the company will create another 50 jobs. Those new jobs will be spread amongst the group’s facilities in Grand Rapids, Florida and the United Kingdom. 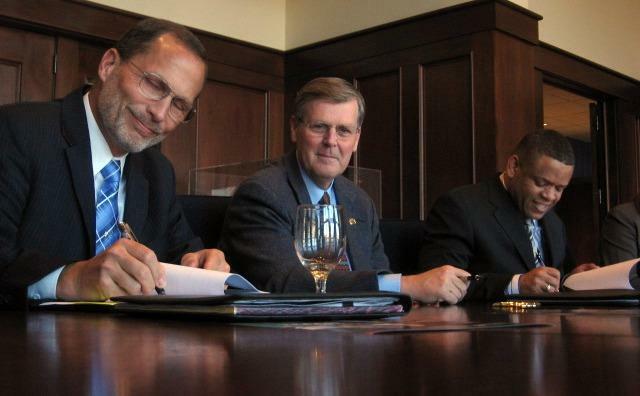 Grand Valley State University signed an agreement Monday that will help put more science and math teachers in high-risk classrooms. The agreement is part of the W. K. Kellogg Foundation Woodrow Wilson Michigan Teaching Fellowship Program. Six universities in Michigan are participating in the program. It offers 40 recent grads $30,000 to get their teaching degrees and spend 3 years in high need, urban middle and high school classrooms.